How Did I Find The EFT Technique? 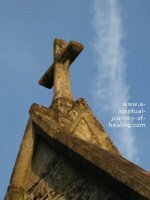 I read about the EFT technique whilst I was living with the chronic illness ME/CFS. I could talk little and had limited help. As a result, I didn't manage to access and learn this self healing technique at the time. 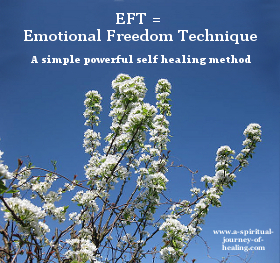 I have learned more about EFT since the dramatic improvement in my health. I use it to help me with health maintenance, and to keep hope alive for my continued recovery. EFT stands for Emotional Freedom Technique. Also known as "tapping", it comes under the category of energy medicine. The EFT tapping therapy is also known by many other names by those who have added their own twist. The idea behind this self healing technique is that we store emotional pain in the body. This emotional pain can also be expressed in illness or dis-ease. Just as acupuncture works with meridians, so does the EFT technique. The difference is that you don't need any needles and you can do it on your own. The Emotional Freedom Technique is very simple and seems rather strange at first. It involves tapping different parts of the body whilst saying words that relate to the issue you are working on. It seems unbelievable that such a simple technique can have such powerful healing results, but there are an abundance of EFT videos online that suggest this is the case. 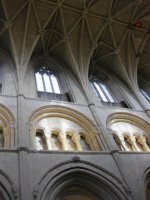 These include the wonderful work of The Tapping Solution. They also offer a free introduction to tapping. Click through on the link above or on the banner to the right to buy EFT on DVD, or to access their free ebook on EFT. I have experienced powerful effects in my own life. For example, one year I listened to the Tapping World Summit and experienced an improved ability to stay warm enough. This makes life more pleasant and has saved money on my heating bills. I have been able to keep the thermostat lower ever since! What Results Will I Get With EFT Tapping? I do not know the results you will get with the EFT Technique. The results shown in various EFT videos are astonishing. It is hard to believe someone can get rid of their emotional or physical pain so quickly. I don't doubt the results are true. But I do know that layers of emotional healing can take place before you see a dramatic shift. Each layer of healing is worthwhile, but it can take patience to keep going. Like any healing technique you do need to DO IT to get results. That sounds like an unnecessary thing to say, but stop and think about it. How many times, do you learn a technique and not apply it. What problem do you have right now? What would help you move forward? Am I using the technique? If a Doctor prescribed a medicine and you didn't take it or didn't take the whole course, would you expect it to work? The beauty of EFT is that it is self healing - you can do it on yourself. However, it can be challenging to sit still and allow yourself to be in touch with your emotional or physical pain. Click for a page for a recommended site from which to buy EFT on DVD or to sign up for future free eft teleseminars. Alternative self help treatments for Chronic Fatigue Syndrome, Myalgic Encephalomyelitis and other chronic illnesses. The Lightning Process - an NLP based healing technique which helped me recover from 14 years bedbound. Affiliate disclosure: Please know that some of the links on this page promote products for which I am an affiliate. If you buy through my link I get a commission which helps me to run this website.